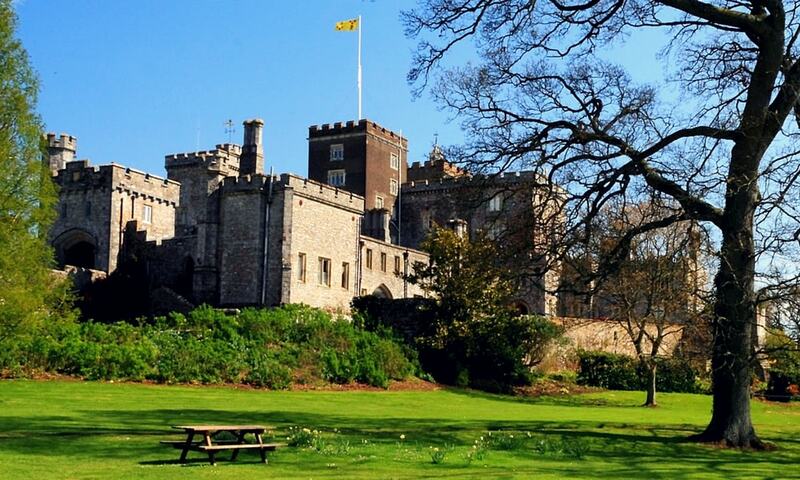 Powderham Castle is a fortified manor house situated about 6 miles (9.7 km) south of the city of Exeter just north-east of the village of Kenton, where the main public entrance gates are located. It is a Grade I listed building. The park and gardens are Grade II listed in the National Register of Historic Parks and Gardens. The castle remains the seat of the Courtenay family, Earls of Devon. Most romantic countryside and castle I've ever witnessed. Fairytales and magic happen here! It is a beautiful castle in a stunning location. Definitely worth a visit or two.